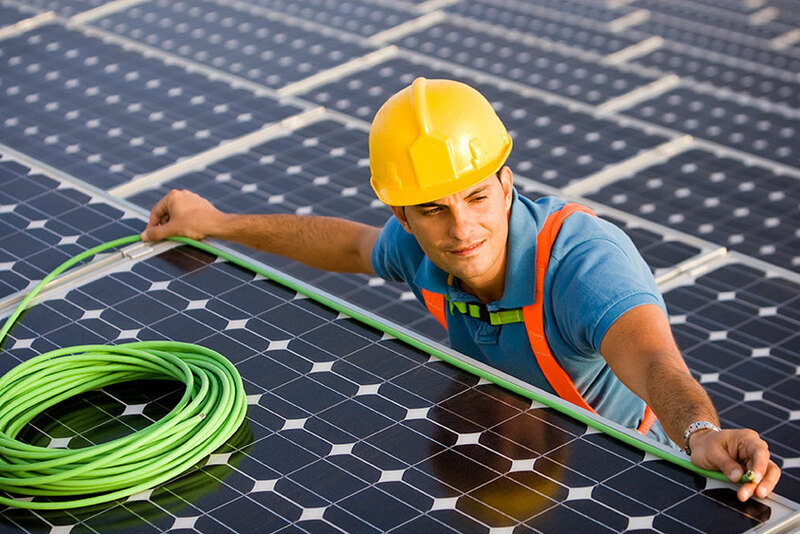 PV Installers are the solid core of the solar industry: They set up and maintain the sophisticated equipment and wiring that connects a solar energy system to the electrical grid. Residential or small commercial installation professionals may design and prepare the system layout based on specific site characteristics; obtain permits; measure, cut, assemble, and bolt structural framing and solar modules, safely attaching panels to roofs or ground mounts; wire and connect the system to an inverter; inspect installed equipment, structures, or materials to determine code and safety compliance; and, finally, commission the system, ensuring that it meets basic performance estimates. The size of the company will determine how specialized any given job is within that broad technical installation sequence. This move typically requires large-scale electrical systems and instrumentation training. This path likely involves additional training in solar system design and construction management. An associate's degree will facilitate this move. Certification and additional mechanical or electrical training would facilitate this move. Certification and a bachelor’s degree or master crafts credential will support this move. PV Installation Professionals are highly skilled solar installers with backgrounds in site assessment, system design, installation and operations. Most have engineering, skilled trades, and/or electrical training.